Field-based courses are UVA Summer Session classes offered by nationally-recruited faculty, and offered at the undergraduate and graduate level. Our NSF REU undergraduate research internship program is now in its 26th year. MLBS courses are field-intensive, research-based experiences. Courses earn 3 UVA Biology credits. Non-college students are welcome to enroll. Become a National Science Foundation REU. Join undergraduates from around the country for a unique 10-week learning and living research experience in the southern Appalachians. Students conduct independent research in field ecology, evolution, behavior, and physiology under the supervision of resident scientists. REUs are internships that include all station costs, travel, and a $5,500 stipend. The Chesapeake Research Consortium (CRC) is pleased to announce that eight (8) summer internship positions will be awarded in 2019 as part of our new C-StREAM Fellowship support program – further details of the program (and links to application forms) can be found at our C-StREAM website. The NIH-funded ENDURE Neuroscience Pipeline Program at Washington University in St. Louis engages undergraduates from diverse backgrounds in cutting-edge summer research experiences. Accepted students are funded for up to two summers of research and receive a generous stipend, housing and many other benefits. Applications are due by Feb. 1, 2019. Details about eligibility and the program are available online (endure.wustl.edu) or by contacting endure@wustl.edu. We are pleased to announce the 10th summer for our REU program in computational biology.. More information and our 2019 program flyer can be found at our website – tecbioreu.pitt.edu, which also hosts our program application page. Looking for STEM research internships? Attend a RISE/SMART information session! Where and when did you complete your internship? I completed my internship with the Department of Game and Inland Fisheries in Charles City, Virginia from February to May in the spring of 2013. I interned at a fresh water mussel hatchery. How did you find your internship location? What types of activities did you participate in as part of your internship? I helped grow and take care of fresh water mussels. Duties included cleaning housing habitats, building housing habitats, counting young, and feeding mussel species and other related animals. What did you gain from your experiences in this internship (academically, professionally, etc.)? 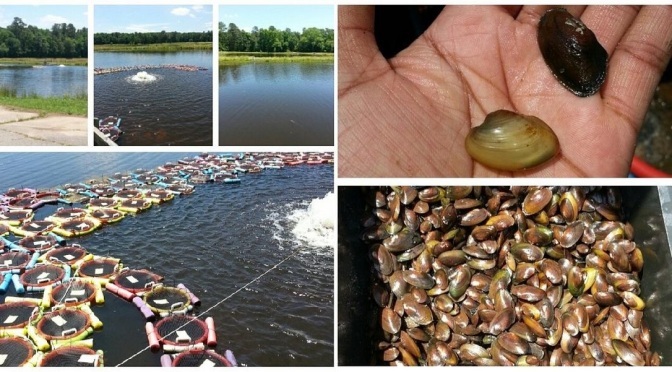 I learned a lot about the propagation and life cycle of fresh water mussels and also met a lot of professionals in the field. Would you recommend internship to other students, why? I would highly recommend this internship experience to biology majors, because you gain industry experience and the opportunity to get really cool hands-on experience in the field, something you might not gain from the classroom alone. I graduated from VCU in May 2014 with a degree in biology and minors in chemistry and creative writing. I am currently working at a local animal shelter and have been added as a permanent volunteer at the VADGIF. I plan to return to school for my master’s in wild conservation, specializing in mammals and habitat conservation.